In Episode 0051, I opened up and shared my story of dealing with postpartum depression and PTSD. The CDC indicates that 1 in 10 women experience postpartum depression, but they indicate that the numbers could be as high as 1 in 5. Although this condition affects a large number of women, in my opinion, we aren't doing enough to put resources in the hands of the mothers who need them. I felt compelled to do my part. 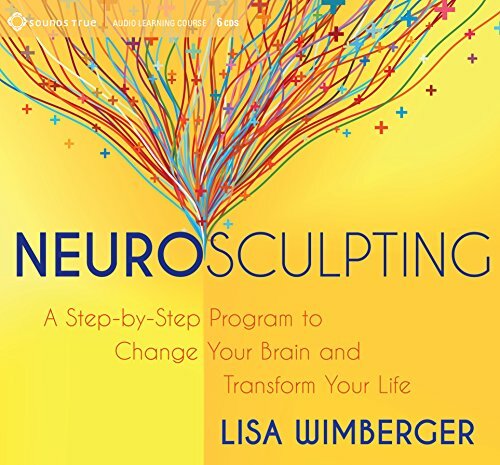 This week, I am thrilled to share with you the interview I recently did with Lisa Wimberger, founder of The Neurosculpting Institute, and author of the book Neurosculpting. Neurosculpting is a very specific meditiation-like practice that Lisa developed to help people heal mental illness, manage stress, and recover from countless other conditions that afflict the mind. I credit Lisa's work for breaking the hold that PTSD and PPD had on me. How she developed the practice of neurosculpting and the incredible impact it had on her own health conditions. How the technique works to intentionally activate specific parts of the brain in a specific order. The role of creating psychological triggers to help induce desired mental states. How you can get started on your own neurosculpting practice. To say I am thrilled about this week's episode is an understatement. Please listen to this episode and share it with others who might benefit from this powerful practice. You are not alone. There is hope. I'm here cheering for you.